Trichiasis is a common eyelid condition where the eyelashes are misdirected and grow inwards toward the eye. The eyelashes rub against the eye and inner eyelid causing significant irritation. 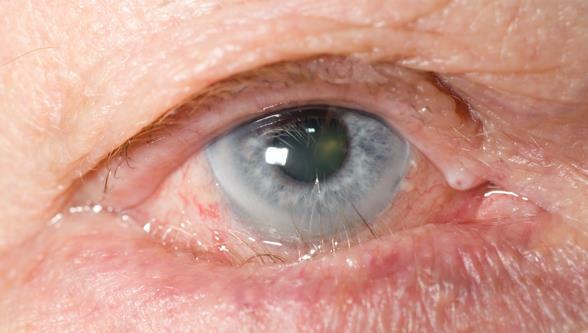 This can lead to permanent damage to the eye if left untreated. Trichiasis can be caused by different conditions including entropion (where the eyelid folds inwards), eye infection, inflammation of the eyelid, autoimmune disorders and trauma. Treatment for trichiasis depends on the underlying cause and can involve removing the eyelash and/or follicle, or redirecting the eyelash growth. Epilation (plucking the eyelashes) provides some relief, but this is usually temporary. If the condition is caused by entropion (inward turning of the eyelid) surgery to correct the anatomical cause and reposition the eyelashes may be recommended. If you have multiple lashes growing toward your eye they can be permanently removed using ablation. This procedure uses radiofrequency energy to remove the lashes and hair follicles. The eye is numbed and the procedure is relatively quick and painless. Dr Richard Hart can perform this procedure at our City Clinic on Symonds Street. Alternatively, if many aberrant lashes are present cryotherapy will be used at Oasis Surgical Centre.